Interview with Vermont Writer Rowan Jacobsen. We discussed his book The Living Shore: Rediscovering a Lost World. His latest book is Shadows on the Gulf: A Journey through Our Last Great Wetland. Both books were published by Bloomsbury. Interview from the archives with award-winning poet Charles Harper Webb. We discussed his 2009 book (part of the Pitt Poetry Series), Shadow Ball. His next collection, What Things Are Made Of, will be published by Univeristy of Pittsburgh Press in February 2013. Today's Write The Book Prompt is to write about a terrible experience that, over time, becomes a cherished memory. Bestselling author Robin Cook, M.D. - perhaps best known for his breakout novel Coma - whose latest medical thriller is Nano, published by Putnam. This week's Write The Book Prompt is to write about something that is small, literally, but is large in another sense. 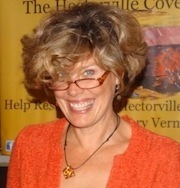 Vermont author and veterinarian Steven B. Metz, D.M.V., whose new memoir is Exotic Tails: A Veterinarian’s Journey, published by Wind Ridge Publishing in Shelburne, Vermont. 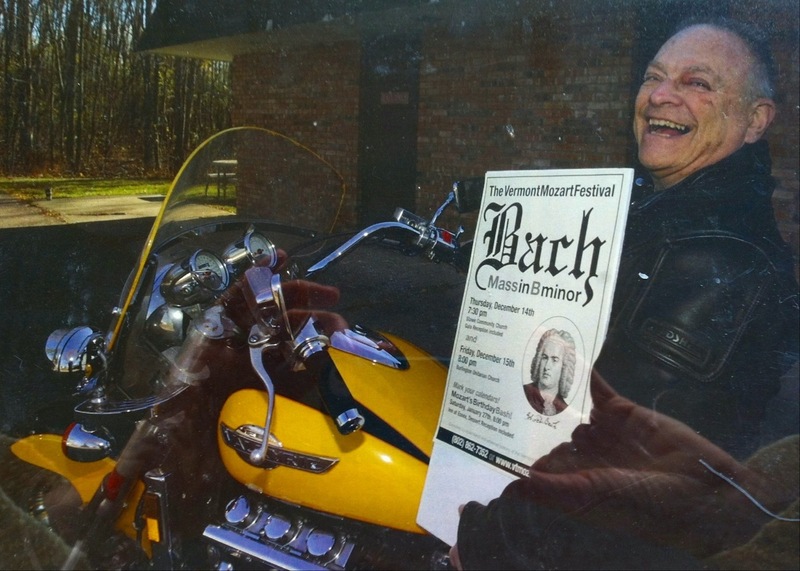 Steven B. Metz, with representations of his two favorite hobbies: the motorcycle, and Bach. The Northshire Bookstore in Manchester Center presents Alex Kershaw, Friday, December 7th, at 7, with his book, The Liberator. And then on Saturday, December 8, at 7, James Gustave Speth will be at the Northshire with his book, America the Possible: Manifesto for a New Economy. Archer Mayor will read from his latest Joe Gunther mystery, Paradise City, on Dec 8 at 11 at Bridgeside Books in Waterbury. Later that same day, at 3, he'll be at the Yankee Bookshop in Woodstock. And on Monday, Dec. 10 at 8, he'll be at the Latchis Theater in Brattleboro, where he'll be at the 2012 Vermont Arts Awards Gala, receiving a Governor's Award for Excellence in the Arts. The Dorothy Alling Memorial Library in Williston presents another pair of "Shape and Share Life Stories," Monday, December 10 & 17 from 12:30-2:30. Prompts trigger real life experience stories which are crafted into engaging narratives and shared with the group. Led by Recille Hamrell.